Westmont Fire Out? Let’s Pray So! The fire that destroyed 20% of Westmont’s campus, and 200 multi-million dollar homes of neighbors was put out earlier this week, but the worst trouble started after the fire was out. The local sheriff held a news conference earlier this week to say they had found the source of the fire – it was “10 college students all from the same campus” who had built a bonfire in a park just a few blocks from the Westmont campus, and didn’t put out their fire properly. The embers from the student’s fire ignited about 12 hours later and quickly spread. Of course all of Santa Barbara and Los Angeles jumped to the conclusion it was Westmont students who started the fire. Galye Bebe, the president held his own news conference yesterday to make clear it was NOT Westmont students – after taking two days of vicious attacks from the community because the sheriff left the implication it was their students. Here is the editorial in the Santa Barbara Independent today asking the community to apologize to Westmont – and from my opinion, that sheriff needs some significant training in crisis communications. What a shame to put the Westmont campus through this emotional fire, on top of all they have suffered from the blaze itself. Santa Barbara County Sheriff Bill Brown should have known better. At Tuesday’s news conference in which he announced that a multi-agency investigation had determined the cause of the Tea Fire, Brown described the suspects as ten young adults between the ages of 18 and 22 who all attended the same school. For whatever reason known only to Brown and perhaps those close to the investigation, he declined to answer any further questions regarding those involved other than to say there were both males and females in attendance at the Tea Garden bonfire party. Sheriff Brown should have known that once the news reached the public many would draw the simple conclusion that the ten were more-than-likely Westmont College students since the Tea Garden is within easy walking distance of the campus. As a result, in the past two days since the news conference, Westmont College has been savaged by the public. Yesterday, this forced Westmont President Gayle Beebe into the unenviable position of having to defend his school against these attacks. While it appears Santa Barbara County Sheriff’s Department spokesperson Drew Sugars informed President Beebe that the students involved in starting the Tea Fire were not from Westmont, the Sheriff’s Department has refused to confirm this publicly and as of today (Thursday, 11 a.m.) no additional information has been released. Thankfully, City College officials have stepped into the void left by Sheriff Brown. Just an hour ago Santa Barbara City College President Andreea Serban confirmed that nine of the ten people allegedly responsible for the Tea Fire were enrolled at the school. Amazingly, she also confirmed that they had been notified of this by the Santa Barbara County Sheriff’s Department Wednesday, the same day Westmont and UCSB officials were apparently told their students had nothing to do with the case. Sheriff Brown needs to explain why it was OK to let the school officials know this in private while keeping the public in the dark. Westmont College has suffered through days of public outrage as a result of information presented at Tuesday’s news conference. That could have been easily corrected. Sheriff Brown not only needs to provide Westmont College with an apology for the way this matter has been handled, but to clear up the record as soon as possible. Three members of our Women’s Cross Country team – Christie Barber, Libby Brown and Jessica Gunning – earned berths in the NAIA National Championship meet this weekend in Kenosha, Wisconsin. Several members of the women’s soccer team were named to the All-Conference Team: (1st Team) Sarah Benson, Catherine Dunst and Mallory Hodges; (2nd Team) Kristin Parson, Nicole Trawick and Dana Sullivan. In Volleyball, Senior Kelsey Stack was recognized as a GCAC All-Conference performer for the 2008 season. In all the buzz of our men’s soccer team reaching a national ranking of 6th, the strong season of the women’s team was overlooked by many. They came within just that one game of going to the national championship tournament. The women made it all the way into the conference championship game against William Carey, after being 0-8 in the conference last year. That’s impressive! Congratulations to Coach Josue Sabillon and the student athletes on an outstanding year. Discovery Day was an awesome experience for myself and my mother. I just felt right at home. 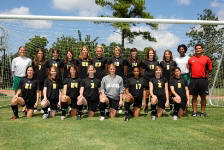 I truly want to attend Belhaven. Hopefully I will get the chance to do just that! Thank you so much for everything. You are all in my prayers as my families! Continue to do great things! I completely loved the visited and it really brought alot of definition to what I need and want to do. I loved talking to instructors as well as being able to have fun with those same instructors. It brought everything to a real level, and that’s what we want to have. A connection with those who will be teaching us and implementing their knowledge on us. Belhaven has been catapulted to the top of my list. I want to come here. Badly. I am kind of in love with Belhaven! When I arrived to look at the school, Belhaven was second on my list of colleges. I was, however, very impressed with all aspects of my visit, and am very seriously considering enrolling there. We really liked Belhaven. Would love to go here, however it is very far away from home and that may end up being an issue. We fell in love with the Christ centeredness we saw everywhere, it shined through! It was really nice to see that there still are dorms that are NOT co-ed out there! Everything about Belhaven was amazing. I’m more excited than ever to start my studies this spring. Westmont College in Santa Barbara, California, has been hit hard by a wildfire – they lost several academic buildings, along with some residence hall rooms, and several faculty homes that are on the campus. (There are a number of photos on their web site.) Westmost is also a member of the Council for Christian Colleges and Universities along with Belhaven and 110 other Christian schools. The story is all over the news, because lots of celebrities have homes near their campus, including Oprah. We need to be praying for their campus, and I will be looking for ways we can help them…as so many helped us during huricanne Katrina. Here is the lastest update from the Westmont College web site. In addition to 14 homes in Las Barrancas (an area adjacent to campus where the college built 41 homes for professors), Westmont lost nine structures: four of the 17 buildings that make up Clark Halls (F, G, M and S), Bauder Hall, the physics building, the old math building and two Quonset huts. The latter three buildings were scheduled for demolition in the coming weeks to make way for new facilities on campus. While Westmont has lost trees and landscaped areas, the formal gardens below Kerrwood Hall were spared, as was the grove of Italian stone pines below the dining commons. The fire started just before 6 p.m. above campus and by 6:15 p.m., the college’s Crisis Response Team had instructed students, faculty and staff to evacuate to the gym where they could be sheltered in place and protected from the fast-moving flames. Westmont developed its crisis response plan years earlier in consultation with fire officials who recommended that students stay on campus in a protected building rather than flee in cars and be exposed to the dangers of a quickly burning fire. Although the flames came close to the gym, the students were safe inside, and the plan worked as expected. President Beebe met with his executive team on campus Friday morning to assess the situation. How soon classes resume depends on a number of factors: there is no threat from the fire, power is restored on campus, buildings are clean and safe to enter, and faculty who lost their homes and/or offices can resume teaching. The executive team is meeting 8 p.m. Monday evening, Nov. 17, to make a decision about restarting classes, which will not begin any earlier than Wednesday, Nov. 19. Beebe will make an announcement Monday evening following this meeting about the class schedule. This information will be posted on the college’s Web site and on the emergency hotline, 1-888-565-7911. About 140 prospective students arrived on campus Thursday for Preview Days to visit Westmont, attend classes and stay overnight in the residence halls. These guests joined the Westmont students in evacuating to the gym and witnessed first-hand how Westmont handles a crisis. Clark Halls, built in 1965, includes 17 separate structures. It houses mostly first-year and transfer students. One of the buildings that burned is the home of the resident director and his family. About 40 or 50 students are affected by the fire and will need to be relocated. Originally Bauder Hall was the carriage house for an estate the college purchased in the 1940s. The main house, which was used as a residence hall for men, burned during the 1964 Coyote Fire. Bauder was noted for its Tudor style and whimsical weather vane. It housed the psychology faculty and a classroom. The physics building dates back to the Dwight Murphy estate Westmont acquired in 1945. Old photos of the college document its use as a garage for the Murphy family. The old math building also belonged to the Murphy estate and has housed a variety of departments over the years, including math and biology. It was empty at the time of the fire awaiting demolition. After World War II, Westmont bought a number of Quonset huts to use as temporary student housing. Two of them remained on campus and were burned; they too were scheduled for demolition. Westmont will continue posting updates to its Web site, especially regarding the date classes will resume. All faculty, staff and students have been asked to stay away from campus until they are notified that it is safe to return. 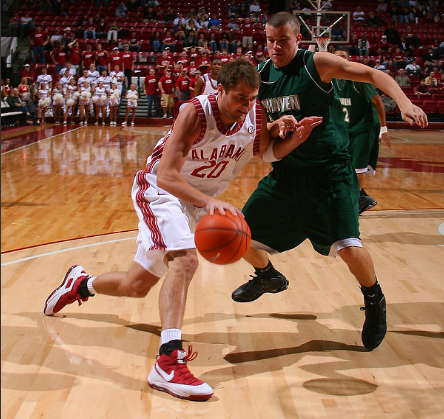 Our men’s basketball team went to Tuscaloosa to play the University of Alabama tonight. The final score wasn’t great, 97-43, but our guys are marvelous to even take the floor against an SEC team. We were down by only 2 points ten minutes into the game. Below is the story of the game from their web site, and here are some great pictures. 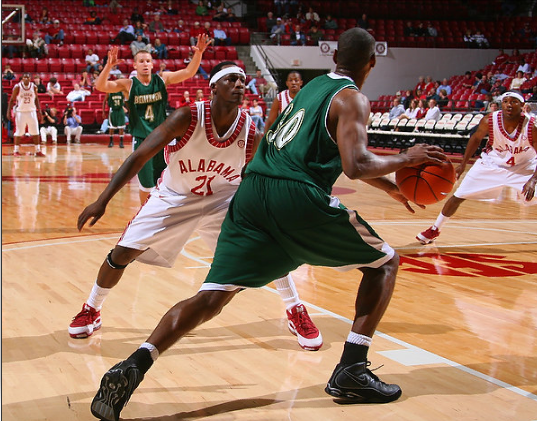 TUSCALOOSA- The Alabama men’s basketball team concluded exhibition play with a 97-43 victory over Belhaven at Coleman Coliseum Thursday night. The Tide defense set the tone, holding the Blazers to 29 percent shooting and forcing 31 turnovers that led to 40 points. Eleven Tide players broke into the scoring column led by sophomore guard Senario Hillman who scored a game-high 21 points. Hillman scored 15 of his 21 in the second half when he was a perfect 6-6 from the field including 3-3 from behind the arc. Three more Tide players scored in double figures with Alonzo Gee tallying 18 points and six rebounds and freshman JaMychal Green adding 14 points and a team-high seven boards. Yamene Coleman chipped in 12 points off the bench. 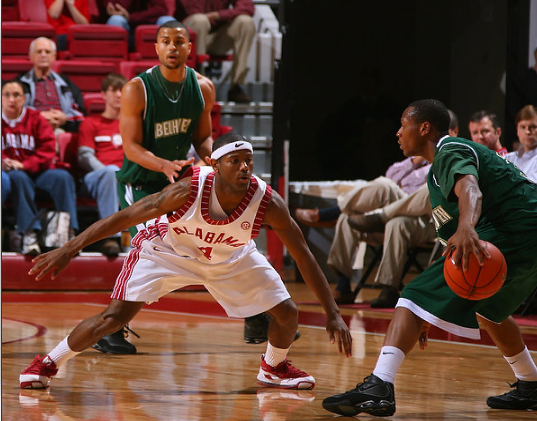 Alabama dished out 26 assists on 34 field goals with Ronald Steele racking up eight assists to lead the team. On the defensive end, Alabama came up with 20 steals led by Green with five while Hillman and Coleman added four pilfers a piece. For the game, Alabama shot 44 percent from the field and 81 percent (21-26) from the foul line. 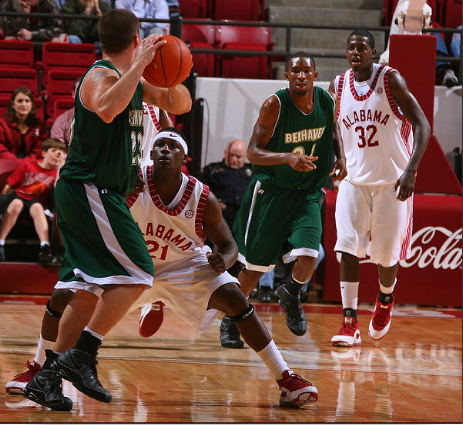 The Tide held a decisive edge in points scored on free throws outscoring Belhaven 21-7 at the line. Belhaven kept things close early on, trailing by only two, 14-12, 10 minutes into the first frame. 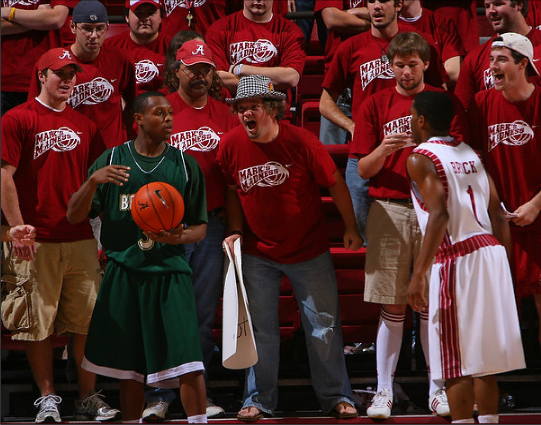 However, the Tide put together a 15-0 run from that point to extend the lead to 29-12 en route to a 44-23 halftime lead. Gee scored 17 of his 18 before intermission including a three pointer as the halftime buzzer sounded. Belhaven forward Korey Whiting led the Blazers in scoring with nine points. Iman Walcott grabbed a game-high 11 rebounds for the Blazers. We are a “Pepsi campus” and appreciate Bill Brown and Brown Bottling Group who helps Belhaven in so many ways, and is our beverage provider for the campus. So, we push Pepsi, not Coke. But you need to keep handy one can of Coca-Cola Classic – to clean wallpaper. We had an expert in this week to repair and clean the wallpaper in the student center. He took off all the scuff marks and other bumps and bruises off the wallpaper throughout the building. David Potvin told me his secret formula is one can of Classic Coke mixed with with two gallons of water. The formula has just enough sugar in it to remove marks, without damaging wallpaper. That secret alone is worth subscribing to this blog, don’t you think? War is horrible. There is no way to sugar coat or romanticize war. It is grusome, destructive, and always hurts more of the innocent than the combatants. People die – lots of people die. But war has always been part of history, and until Jesus returns to restore the earth, war will be part of our lives. The United Nations reports there are currently 15 major conflicts in the world. Of course, two of those involve the United States – Iraq and Afghanistan. We have a number of our Belhaven alums in the force in both countries. We are all deeply thankful for the men and women who put their lives on the line, their families in great stress, and the need for liberty and human dignity above their personal desires. They give up so much to protect us, we need to thank them more than once a year on Veterans Day. You’ll be glad to know that Belhaven College has a special scholarship for veterans and their spouses. I was encouraged to see this sign at the Walmart gas station on Route 49 in Richland. 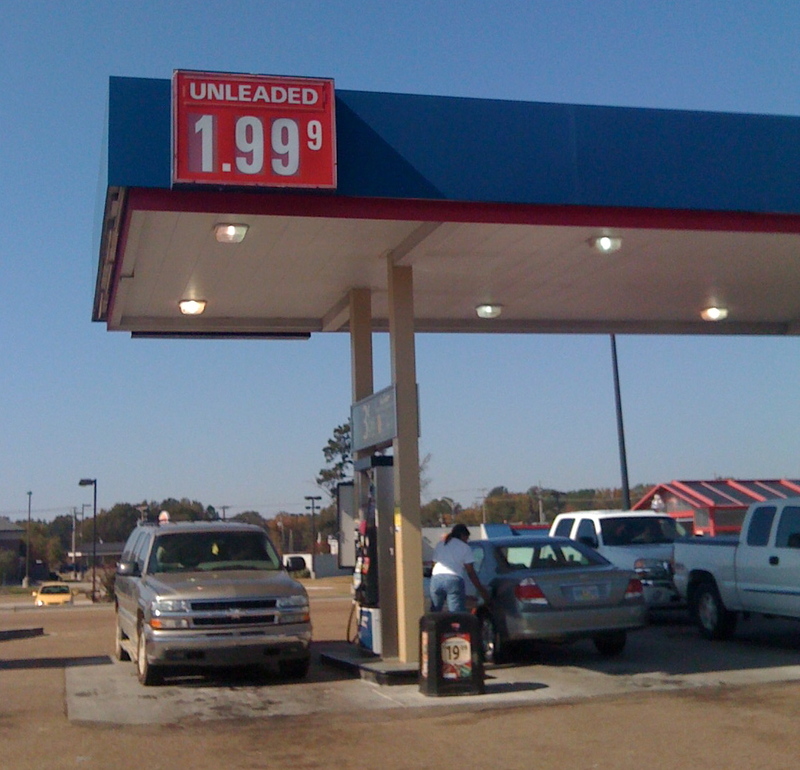 Hard to believe we now see $2 gas as welcomed sign. This story from CNN caught my attention because Joel Hunter is a friend of Belhaven, serves on our Board of Reference, and was our commencement speaker for our Orlando campus a few years ago. Dan Fredericks and his family attended Joel’s church when they lived in Orlando. Before he delivered his victory speech on Tuesday night in Chicago, President-elect Barack Obama took a call and bowed his head in prayer. Dr. Joel Hunter, pastor of Northland Church in Orlando, Florida and Otis Moss Jr. from Mount Olivet Institutional Baptist Church in Cleveland, Ohio joined him in that prayer. Dr. Hunter, a conservative evangelical who delivered a prayer at the Democratic National Convention this summer, says the President-elect “…feels the weight of this responsibility. He [Obama] doesn’t take upon himself of having to have all the answers but he certainly realizes the huge challenges this nation faces. He feels the personal weight of the potential to guide us through these difficult times. I don’t think he’s oppressed by it though.” Dr. Hunter says he thinks it set in for Obama last night and led to the sober tone of the victory speech.